We have been hearing quite a lot about the new Samsung Galaxy S6 Active over the last week and now the handset has appeared on the Samsung Plus program page. You can see the listing for the Samsung Galaxy S6 Active below and the listing shows that the device launch on the 10th of April, this is incorrect as the handset has yet to launch. 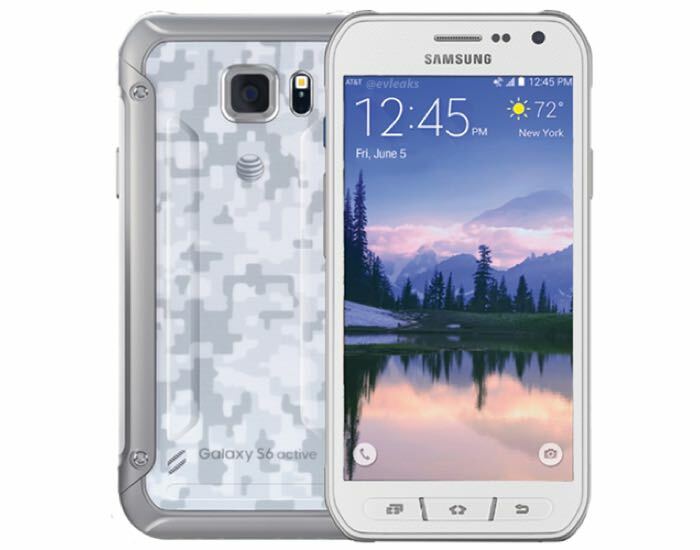 The Samsung Galaxy S6 Active is expected to share similar specifications t the S6, although the handset will come with a much more rugged case than the standard handset. The handset is rumored to be powered by an octa core Samsung Exynos 7420 processor and it will come with 3GB of RAM and a range of storage options. The S6 and S6 Edge do not have expandable storage, although there is the possibility that the S6 Active may get a microSD card slot. Other rumored specifications on the Samsung Galaxy S6 Active include a 5 megapixel front facing camera and a 16 megapixel rear camera, the handset is expected to feature a 5.1 inch Quad HD display with a resolution of 2560 x 1440 pixels. We are expecting some sort of official announcement from Samsung shortly on their new Galaxy S6 Active handset, the device will launch with mobile carrier AT&T.